People Where hoping a lot from Bangladesh after defeating New Zeland in ODI Series but Zimbabwe beaten Bangladesh in First ODI by 9 runs and got 1-0 lead in Five Match ODI Series on 1st December 2010. Zimbabwe played first after winning the toss and made 209 runs in 29 overs. Bangladesh was all out on 200 runs in 49 overs and lost by 9 runs. 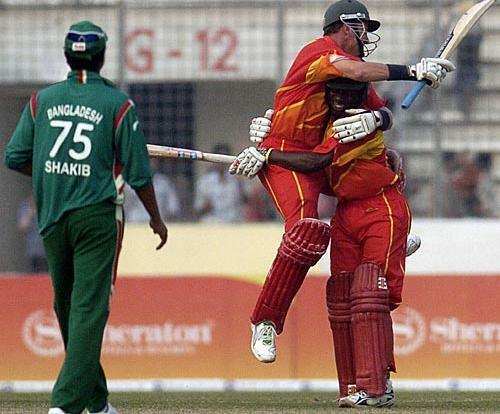 Second ODI between Zimbabwe and Bangladesh will be played tomorrow on Friday 3 December 2010 in Dhaka. Host Bangladesh will be hopping to make a comeback in the series after losing first ODI.